The inviting design and organized layout of the CrossFit WordPress Theme send visitors your message of approachability and professionalism. 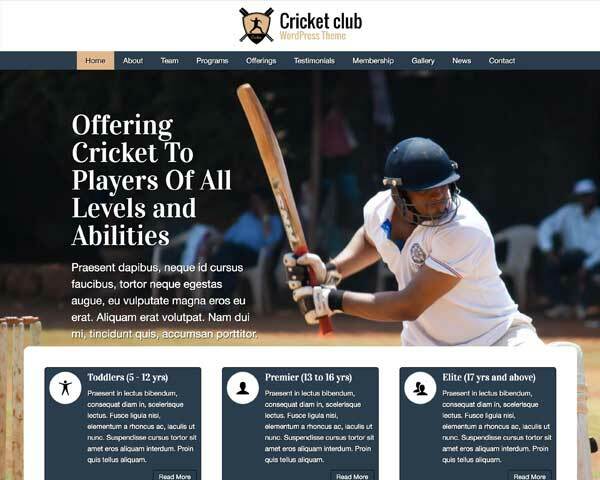 Just replace the text and images in this premium WordPress theme to have your complete website online in no time. 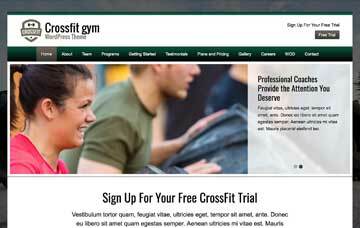 The CrossFit WordPress Theme is made for crossfit services. 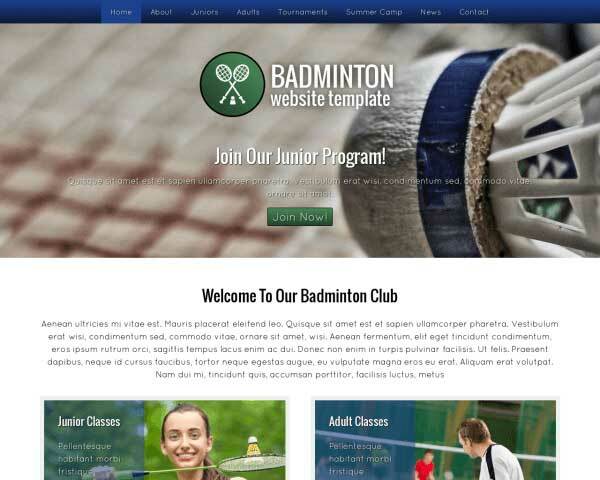 This pre-built website template is designed to get your site online fast just by replacing the demo text and uploading your own photos, but you'll be amazed by how much you can easily change to make it your own. Add or remove pages, customize contact forms, rearrange pages layouts and personalize the color scheme with just a few clicks. No coding skills are required thanks to our unique front-end editing tool and drag and drop widgets. 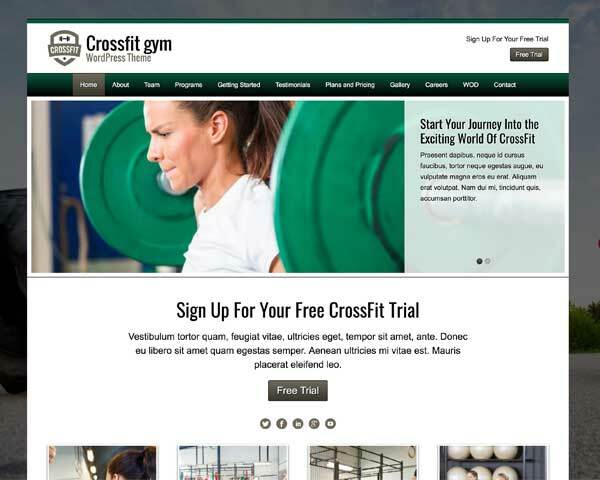 Create a professional, trustworthy online presence for you crossfit services with the CrossFit WordPress Theme and start attracting new clients today! 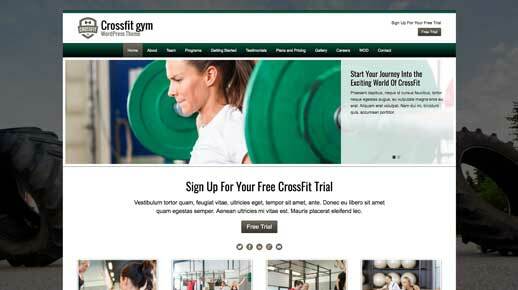 Allow visitors to register for a gym membership online with the CrossFit WordPress Theme's built-in form. The fields can be customized to suit your needs. Customers won't have to search to take the next step and get in contact with you with clear calls to action prominently displayed on every page of the CrossFit WordPress Theme. 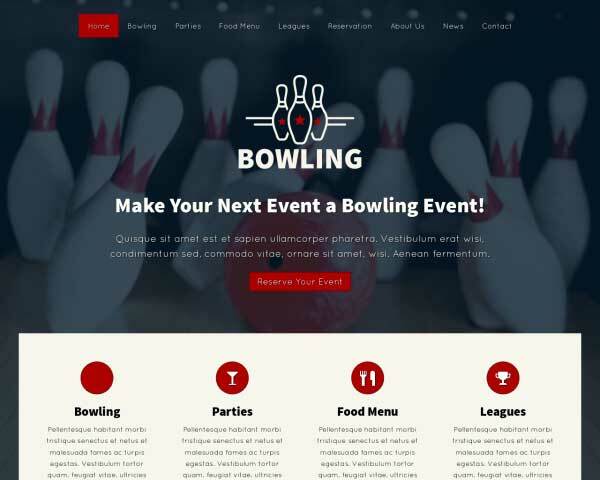 Offer an attractive overview of your services on the homepage of the CrossFit WordPress Theme, along with quick navigation to important pages on your website. The CrossFit WordPress Theme has a dedicated feature to display your professional you or your team members to the public. There's no better promotion for your professional work and friendly service than testimonials from your satisfied clients. Paste in your quotes to display them styled as you see here. 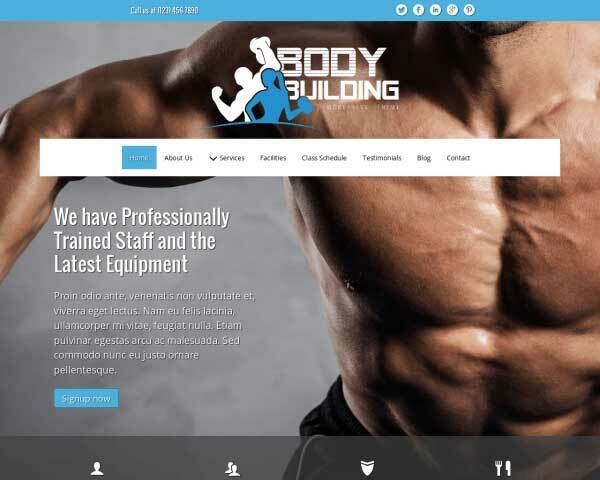 Outline your rate structure and services on the dedicated page of the CrossFit WordPress Theme. Add rows, columns or price charts as needed. Hiring good people for your crossfit business starts with a vacancies overview. 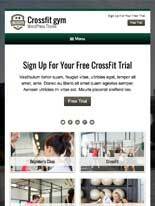 We've incorporated this feature in the CrossFit WordPress Theme. No website can do without a contact form. The CrossFit WordPress Theme is no exception to this rule, hence we've included the necessary elements to make a quality contact section. 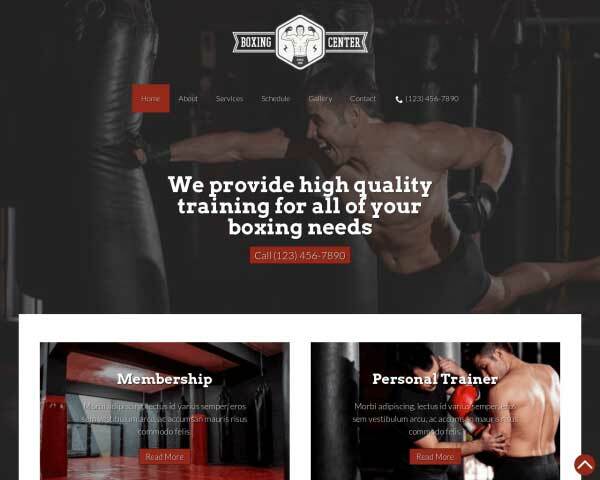 The clean, modern design of the CrossFit WordPress Theme extends to the mobile version of your website, so visitors will enjoy the same professional look and functionality of the desktop version while browsing on any mobile device. Featuring full-page image galleries, menus, and user-friendly navigation, this fully-responsive CrossFit WordPress Theme will automatically adjust the layout of your content to display beautifully on any size screen with no extra plugins or coding required. Mobile users can just tap on your phone number to dial!